The tragic figure whose death led to the outbreak of the First World War was born on 18 December 1863. Tinseltown pioneers founded the Jesse Lasky Feature Play Company on December 22nd, 1913. The rebirth of one of the world's great buildings took place on December 24th, 563. In 1961, rattled by Soviet advances in space, President John F. Kennedy declared that, within a decade, the United States would land a man on the Moon. David Baker tells the story of how it took the US Air Force to change NASA and make the dream a reality. Loan sharks, youth debt, peer pressure and parental responsibility are not just issues of the moment. Nicola Phillips tells the story of a young Regency buck who pushed his father a financial step too far. As Home Secretary in 1911 Winston Churchill intervened in a debate about Britain’s role in a future European conflict. His observations were remarkably prescient and, had they been implemented, might have shortened the First World War, says Allan Mallinson. During the First World War, the Nobel Prize-winning scientist William Lawrence Bragg devised a system to locate enemy guns, which made a dramatic impact on the Allied war effort and beyond, says Taylor Downing. 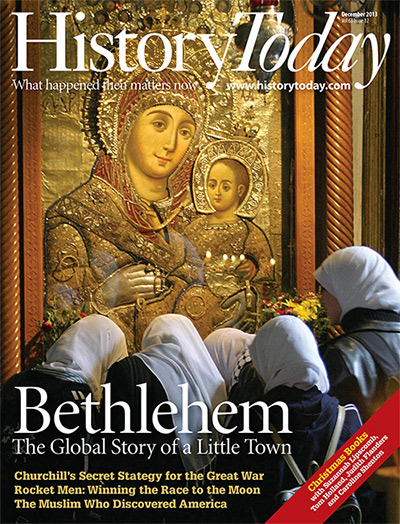 The ‘little town’ celebrated by western Christians as the location of the Nativity is much more than a stylised depiction evoked in Christmas cards each December, says Jacob Norris. A photograph of shipbuilders working on the liner Queen Mary taken in 1935 tells a wider story, by Roger Hudson. The Daily Mail has recently caused controversy with its views on patriotism. Adrian Bingham looks back at a time when the newspaper’s belief in its national duty provoked intense debate and copies were burnt in the City of London. We ask some of our leading historians to tell us about the books that they have found most stimulating over the past 12 months. 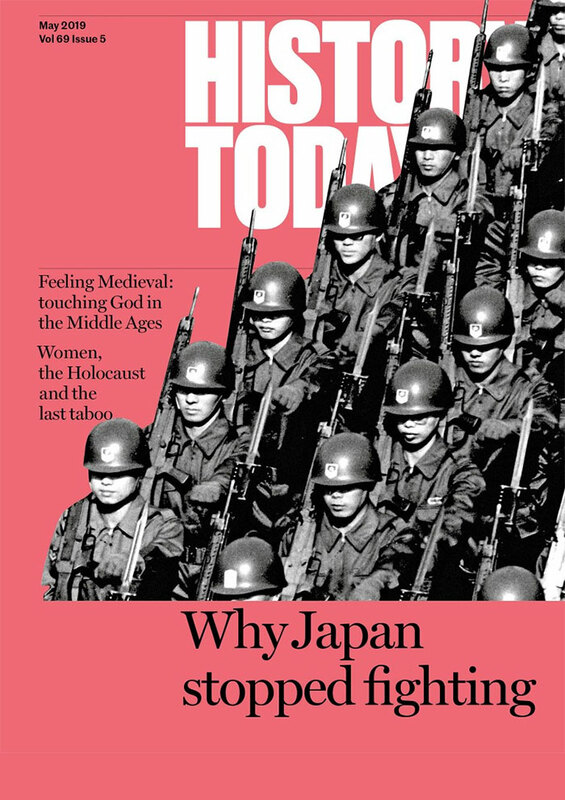 To be present where so many are now absent offers students a profound insight into the realities of history, argues Tom Jackson.